With her own vibrant and self-assured personal style, Margaret Minister O'Keefe works on behalf of Maine's style makers. An invitation to gaze. 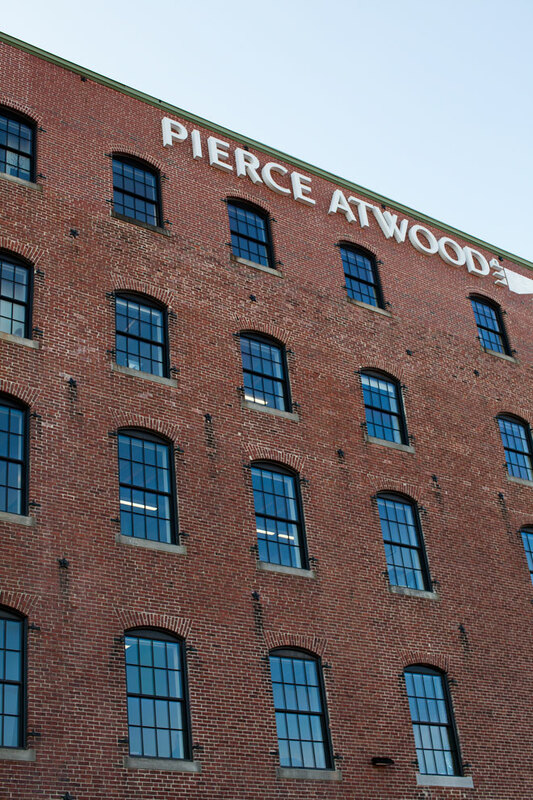 The view from Pierce Atwood's new Portland location, a repurposed warehouse on the wharf. As a child, I had a pretty simplistic idea about how the art world worked. There were artists—those who made things, those who had things to say—and then there were other people. Artists on one side of the room and, on the other side, the lawyers and bankers and doctors and executives, those who made the world run smoothly but didn’t really understand us. I envisioned this divide to be like the shared bedroom of siblings who can’t get along, a line of masking tape down the middle. You here. Me here. Happily, I outgrew this conception. Life showed me, again and again, that people are never one thing, that identity is complicated, and that those who wear suits can be as radical as the guy in leather picketing city hall. I learned that artists and art advocates come in all shapes, and that corporate entities are not always blind to the power of art. I outgrew my childhood beliefs because I was lucky enough to have experiences that challenged stereotypes. Because real life dissolves polarities. Because of people like Margaret Minister O’Keefe. 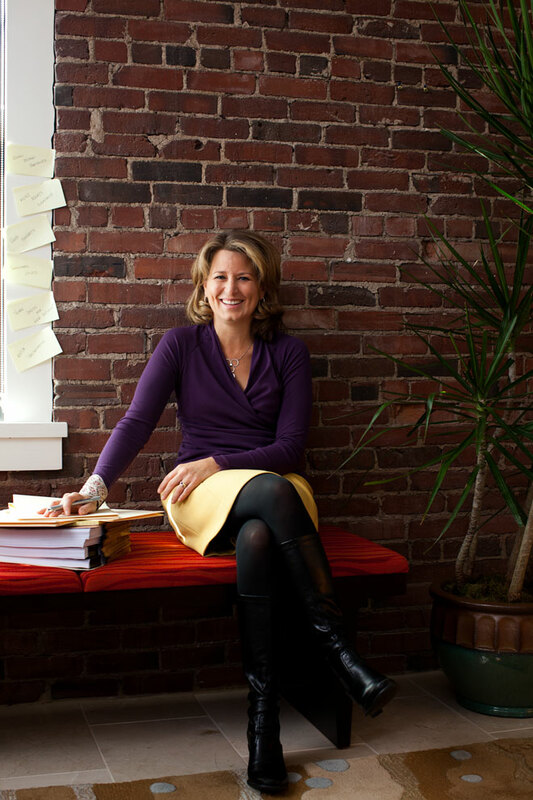 O’Keefe is a partner at Pierce Atwood, LLP, in Portland, and she has committed her life to protecting and empowering creative people. An intellectual-property attorney since 1998, she has a passion for “untangling” the complex issues surrounding copyrights, trademarks, patents, and brand and product licensing. For several years, she worked as in-house counsel for Angela Adams (who remains a client), and now she represents an array of companies, large and small, in the world of music, design, art, software, and biotechnology. O’Keefe believes creative innovation is the key to Maine’s future and that life is enriched by art and creative endeavors. I meet O’Keefe at Pierce Atwood’s sparkling new offices on Commercial Street. Filled with the paintings and photography of Maine artists, the space feels more like an art gallery than a law firm. She gives me a tour, pointing out the gorgeous views: dappled bay on one side, sprawling cityscape on the other. But O’Keefe seems just as enthralled by the art on the walls, the Angela Adams rugs and textiles, and the Thos. Moser table with such smooth, stunning wood that one feels an urge to pet it. 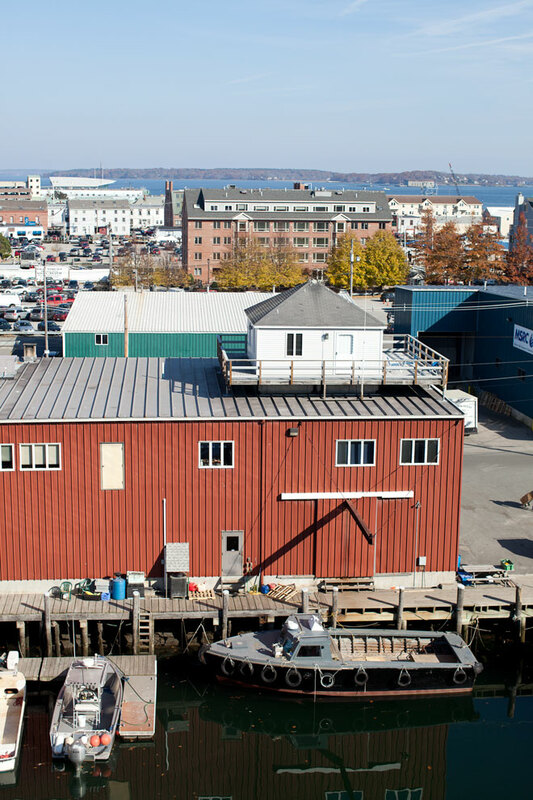 The office is a celebration of Maine art and ingenuity, and there’s nowhere else O’Keefe wants to be. But Maine wasn’t where she started out. Eighty-hour weeks, traffic jams, and prolonged flights just to get to a campground or the beach convinced O’Keefe and her husband, an immigration attorney, to seek out a different life. And so in 1997 the couple moved to Maine, where O’Keefe had lived as a small child (both of her parents taught at Bowdoin) and where she had gone to college (she graduated from Bowdoin in 1989). The physical beauty, the quality of life, the access to the outdoors, the vibrant art scene—it all felt right. They settled in Cumberland to raise a family, and the couple now has two children, ages 10 and 12. But of course there is much in the world of law that requires “untangling,” and so I ask why creative businesses in particular appeal to her so much. When she talks about the arts, her face brightens—and this is saying something: O’Keefe is a vivacious, exceedingly bright-faced person to begin with. She’s quick to explain that her work goes beyond simply protecting companies. “Our firm represents and protects entrepreneurs, but we’re also trying to promote a creative economy,” she says. In this spirit, Pierce Atwood has developed an “incubator” program for start-ups in the early stages. For the appropriate company, they put together a team to provide good advice at a discounted rate. O’Keefe is proud of the firm’s mission to support innovative businesses as they get their feet under them. Her passion, verve, and broad-mindedness makes me think of, well, an artist. And indeed she is a designer—or was, but she’s humble when discussing it. “I had a small clothing business,” she tells me, a bit self-consciously (she’s clearly more comfortable talking about law). Between 2004 and 2007, she ran a company called M. Minister (a homage to the camp labels her mother sewed into her clothes, as well as her brother Matthew’s). “The business came about because I was incessantly making superhero capes for my kids,” she chuckles. She started making and selling skirts, tops, handbags, and belts. But she didn’t run off to audition for Project Runway. At the end of the day, she found what she most enjoyed about the work wasn’t fulfilling orders but building the business. Running her own business strengthened her commitment to Maine’s creative industries. When she looks back, she sees how her own creative work helped her develop a more specialized, attuned practice, one more responsive to her clients’ unique needs. This isn’t merely public-relations talk. When O’Keefe waxes poetic, you believe her. Her energy is genuine, charming, and infectious. She obviously loves her work. Another thing she loves: spending time with her kids. Whether it’s making them superhero capes or (this Halloween) a Lady Gaga costume, she’s an involved mother and says she’s pleased to work at a firm that fosters a healthy work-life balance. O’Keefe laughs, but she admits there’s some truth to this. For instance, one of her children got a bit nervous when the art teacher introduced her students to the work of Angela Adams and then gave them the assignment to create their own Adams-inspired design. Her child came home and explained the project. O’Keefe took it as an opportunity to share her philosophy about art, and to talk about the great tradition of artists and designers inspiring each other, about art as dialogue, about how we all learn through emulation. In the end, O’Keefe isn’t trying to stifle this artistic conversation—quite the opposite, in fact. “If you engage in dialogue, seek permission, celebrate the originator, celebrate the inspiration behind work, more often than not it’s perfectly acceptable,” she says. It’s when the borrowing is covert—when that necessary dialogue doesn’t happen—that O’Keefe steps in. So artists, designers, and entrepreneurs: Get tangling and think big. Then peel that masking tape off the floor. You’ve got an ally in O’Keefe.